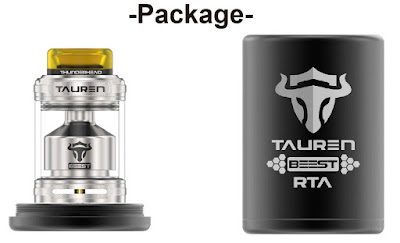 Home > THC > THC Tauren RTA > vape news > vape tank > What Will You Get from THC Tauren RTA? 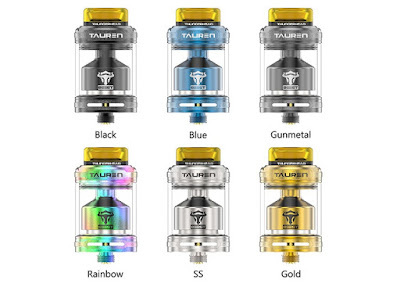 THC Tauren RTA is the latest RTA Atomizer supporting Dual Coils. It has a 24mm diameter and an extra 2ml e-juice capacity, and we can get a 4.5ml capacity by replacing the replacement glass tube. Unlike many common RTAs, THC's new and improved Desk uses the Postless structure to not only bring us dual coil buildings but also bring a better airflow system. The use of double-sided hexagonal perforated air inlets enhances air balance and provides better vapor production and ultimate taste. How about THC Tauren RTA? 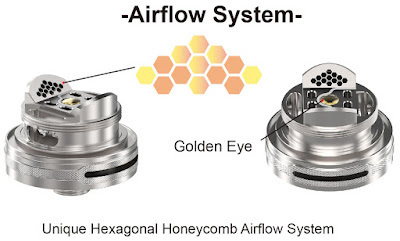 Of course, it is also equipped with a Top filling system and a bottom airflow control system. The 510 connector is compatible with most vape mods on the market. In addition, the excellent heat resistance of the 810 Drip Tip ensures a more comfortable mouthfeel. With the Postless structure, the installation is much simpler. For the first attempt at RTA Beginners is a wise choice, as well as advanced users.